The University of Hawaii Women's Options Center has two locations. For further documentation on the clinic and abortions at the University of Hawaii, see the Women's Options Center - Kapiolani Medical Center location page. Women's Options Center - Medical and Surgical Abortion Women's Options Center - Abortion patient forms Hospital Locations - See Kapiolani Medical Center and Queens POB 3 Division of Family Planning, at the University of Hawaii - Faculty list Family Planning Faculty Bios - See list on right The University of Hawaii Women's Options Center is a "general ob-gyn office" that provides prenatal care and gynecology services, but also performs medical and surgical abortions. 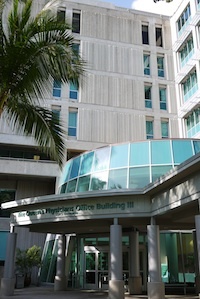 Physicians are faculty from the University of Hawaii John A. Burns School of Medicine, and abortion procedures are sometimes attended by residents and student physicians-in-training. Women's Options Center has two sites, located within hospital buildings at Kapiolani Medical Center and the Queens Physicians Office Building 3. Both locations do surgical and medical abortions. Appointments are scheduled at the Kapiolani location on Tues, Wed, and Thurs, and at the Queens location on Mon and Tues. Details confirmed by phone call on 4-6-15. BE Abortion payment and billing is handled by UCERA (University Clinical, Educational, and Research Associates) located at 677 Ala Moana Blvd. Ste 1003, Honolulu, HI, 96813. See the patient Service Agreement form for details.